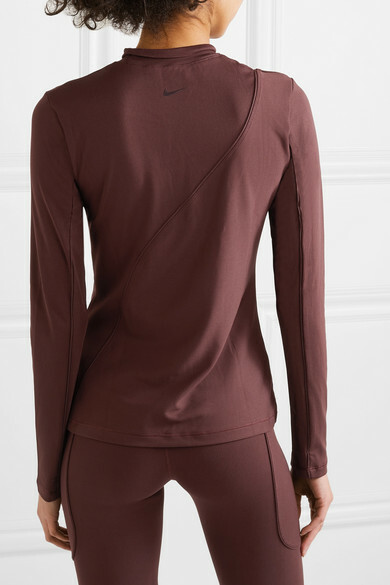 Don't let a chilly day put you off an outdoor workout - Nike's ribbed stretch-jersey 'Pro' top is designed using the brand's 'HyperCool' technology to keep you warm and wick moisture at the same time. 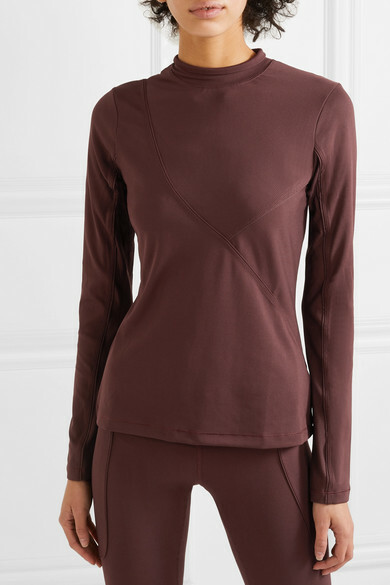 It has a mock neck for extra coverage and is paneled with mesh under the arms to enhance breathability. 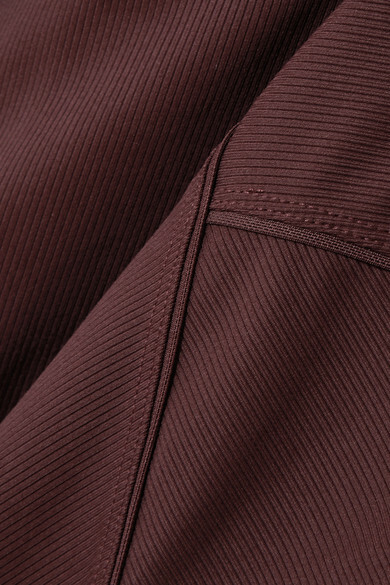 Match yours to the coordinating leggings. Shown here with: Nike Leggings, NO KA'OI Yoga mat.